I’ve been in the wireless business a long time and I’m always thrilled when AT&T is involved in a breakthrough announcement. Today is one of those days with Amazon’s unveiling of its Fire Smartphone, powered by AT&T’s 4G LTE network. I’m really impressed by Fire Smartphone. Amazon has made it effortless to get to applications, navigate websites, access maps, identify music and videos, and, in fact, to find over 100 million items. Every time I’ve shown Fire and its services, like Dynamic Perspective and Firefly, the response I got was “Wow,” because these services are so different and so easy to use in the typical Amazon fashion. And, of course, only available on Fire on AT&T’s 4G LTE network. At AT&T we’re proud to have had the opportunity to work with Amazon on Fire Smartphone, since the early days. What Amazon has introduced today is the result of close collaboration between AT&T and Amazon to deliver a product and a service that will wow consumers the moment they get their hands on Fire. Beginning today, customers can pre-order Fire at AT&T-owned stores nationwide and on att.com. It hits AT&T stores on July 25th. Customers can also purchase a 32GB Fire for $199.99 with a two year wireless service agreement. 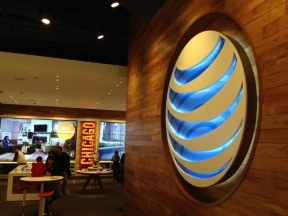 At AT&T, we love being part of industry firsts. We’re excited by what Amazon has been able to achieve with Fire and we’re proud to power it, so that it can deliver a great customer experience. Follow the conversation on Twitter @ATT or #FirePhone.